So you’ve Leaned In, now what? In today’s world, women’s career success relies on much more than just taking advice from a mentor, knowing how to network, and being proactive. Young professional women have to learn how to analyze career decisions for themselves and figure out what to do when their decisions don’t work out. 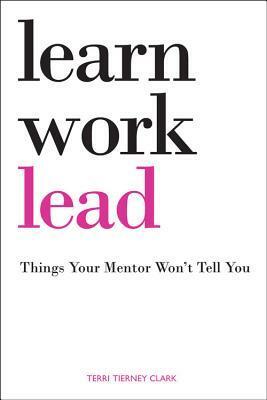 Learn, Work, Lead: Things Your Mentor Won’t Tell You is a cutting-edge career and job search guide that will teach you those skills and give you the tools to navigate successfully in a gender-biased workplace. It will show you how to plan your career now so that you will be chosen to lead in the future. •Coaching on how to analyze career decisions and make the best choices even when your solutions differ from your mentors’ advice. •Guidance on how to succeed even when you’re faced with problems that no one could predict. •Tools to develop your optimal career plan. •Lessons from top business leaders’ career war stories. You can enter to win a free copy of Learn, Work, Lead. Just click on the link below. Please also follow me on my Goodreads Author Page.